The Rollo watch by Nixon is a synonym of simplicity, with an accent on details. 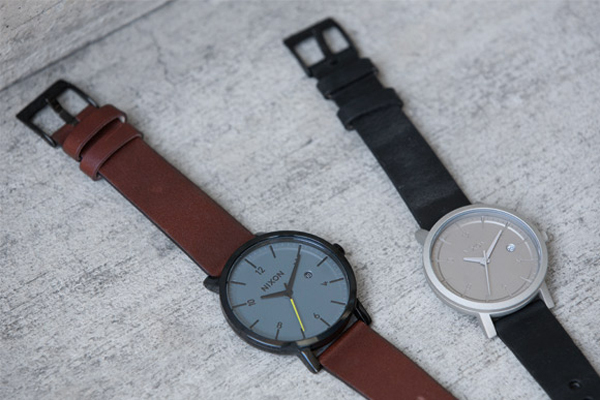 Think minimalist, slim dial and comfy wrist band. Add a 3-hand movement with a date window at 3 o’clock and a colour pop on the seconds hand. Top off with a wide array of colour schemes, from sky blue and taupe to all black, starting at $235.